Yet another rock and roll debate took place yesterday. This one was on the pages of Facebook and was started by a friend who posted a link from The Atlantic. The article asked, "Did U2 just surpass the Rolling Stones as the greatest rock band ever?" Of course, the comments were fast, furious, and plentiful. "Of course, the Stones haven't put out much worth listening to since "Exile on Main Street." "That "Atlantic" piece is just about the most embarrassing, illogical, poorly-argued, extra-musical shite ever foisted upon us by a magazine with a glossy cover. Heinous doesn't come close to capturing sheer idiocy of that caliber! And, as ever, "Eff The Beatles!" So to continue with what I started on this post, here is a "WEEKEND MIX" of some of my very favorite songs by my very favorite artists, all of which came long after the alleged peak years. I realize this mix doesn't prove anything. Loving anyone of these tunes won't necessarily make you love and appreciate any of the albums they are from, or suddenly make those albums better than "Exile On Main Street" or "The Who Sell Out." But, I would still put up a fervent argument that just because our legendary rock and roll heroes had more to say when they were younger, doesn't make what they have to say now any less musical or worthwhile. Inclusion of Springsteen's "Girls in Summer Clothes" shows that you are a person of discerning taste and quality. Just an amazingly great song, with those subtle production bits that you don't tend to see these days (despite the tons of bucks and time spent on production). I'm looking forward to hearing the rest too. 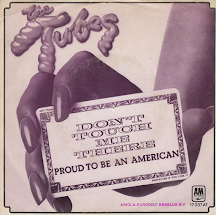 There are a lot of tracks that I don't recognize, as "new wave," "college rock (aka REM and its progeny)" and then a foray into "Americana" caused me to stop picking up anything by many of these "dinosaurs" starting in the early 1980s. The only one I knew off the top of my head was the Springsteen, which I actually think is one of his best EVER. In fact, pretty much the entirety of the "Magic" album works for me. It's actually what turned me from a lapsed fan (which I'd been pretty much since "The River") and into a fan again. It's a great pop album, and no apologies. Bruce is past his peak? Yeah, apparently when he doesn't write about doing hard time, or a gas station in Secaucus, he's phoning it in. Actually, I think you make your argument much better here than in your previous post. There's no denying that great artists still put out great songs, but not all of us can spring for each full album to get the gems. I'm not an mp3 convert yet, but it's not hard to see the Death of the Album ahead, rescusitating the format only on occasions akin to the classical symphony. p.s. and "Mississippi"! Deft choices. Nice call on 'Angel Come Home.' That 'L.A.' album (Beach Boys, '79) has a lot of unexpectedly nice tunes on it -- thanks in large part to Dennis and Carl, with only a small assist from (a rapidly descending) Brian. See also: "Good TImin'," "Love Surrounds Me," "Full Sail" and (especially) "Baby Blue." The disco 'Here Comes the Night' is either catastrophic (way too little, way too late, way too catalogue retread) but I'm almost ready (not quite) to give it another listen. And, confession time, I have a weakness for Mike's pseudo-Japanese "Sumahama." I can't explain it. It just sounds good in my ears. Kill me now. Re Girls In The Summer Clothes, lots of comments here in the UK at how Springsteen had turned in to Ian McNabb and various Bruce McNabb or Ian Springsteen mentions to hilarious???? guffawing in DJ Intros. Think you could name three or four from Magic and with Cheap Trick, there's always a killer or two no matter how poor the album. With all the artists you name there's plenty of alternatives and it's fun to do. ie. The Kinks - Come Dancing, Bowie - Thursday's Child, Beach Boys - Trying To Keep The Summer Alive to name a few. BTW I'm not a fan of most Stones post Some Girls, but U2 overtaking them????? FFS - I'm trying to think of anything decent by the third world saviour and his merry men, One maybe and errrrrrrrr that's it. Maybe, he's never gonna write the Seventies albums again, but why should he. As Steve says Magic is a great album, nothing like his previous work, but listen to it for what it is and just think if it were not Springsteen and the same album, would you buy it? Funny you say that... I've been singing the praises of "Magic" to many a longtime Bruce fan, and most of them just look at me kind of blankly and reach for "Backstreets" for the zillionth time. To me, the "Magic" album is just a masterpiece. "Radio Nowhere" is one of my iPod's most-played songs. Always enjoy your comments. I am one of those who thinks that many artists do become better with age though -- as if they finally find their own skin later. Rather than struggle to recapture youthful glory. Dylan is my fave example there... I listen to his last four albums more than I do his older stuff, and that's saying a lot b/c I grew up on the old stuff! AMEN... BUT CAN WE have a felix pappalardi or al kooper rarities zip, oh mighty one? 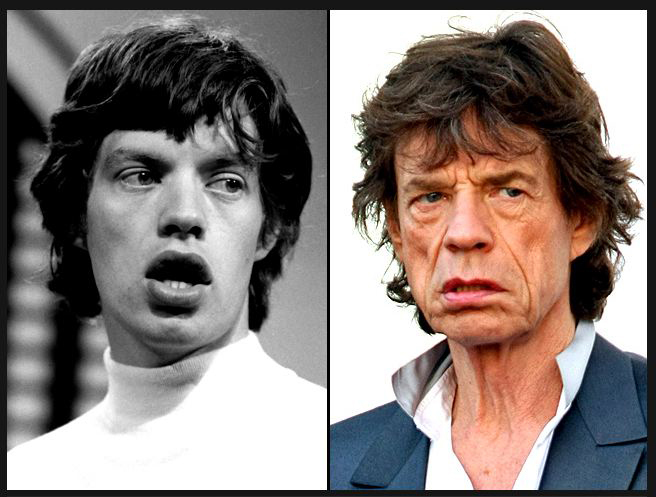 The more I listen to "Slipping Away," the more I think Jagger should sit down and rest more. Agree (and then some) with everything already said about "Girls in Their Summer Clothes"--so simple yet so majestic. And I've always loved "Mississippi," but part of me wishes you went with "Girl From the Red River Shore" simply for the shock value. About the only song that didn't jibe with me was "For Your Life," which sounded like so many other LedZep tracks to my aging ears. Thanks once again, Sal! Aging ears? Aren't you younger than all 3 suriving members of Led Zep? Check out Jimmy's solo in that song. 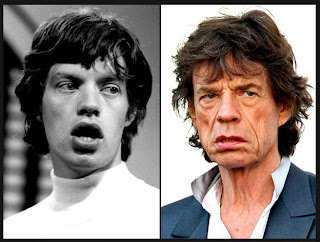 Jeez, what's up with Mick in the photo? He looks angry at someone or something!